The MSRIT Team: Standing(L-R) – Melvar, Raja, Ashish, Sachin Belvadi( Head Coach), Abhishek, Ashish, Preetam, Joystin. Sitting (L-R) – Sai, Rahul, Akash, Sidharth. 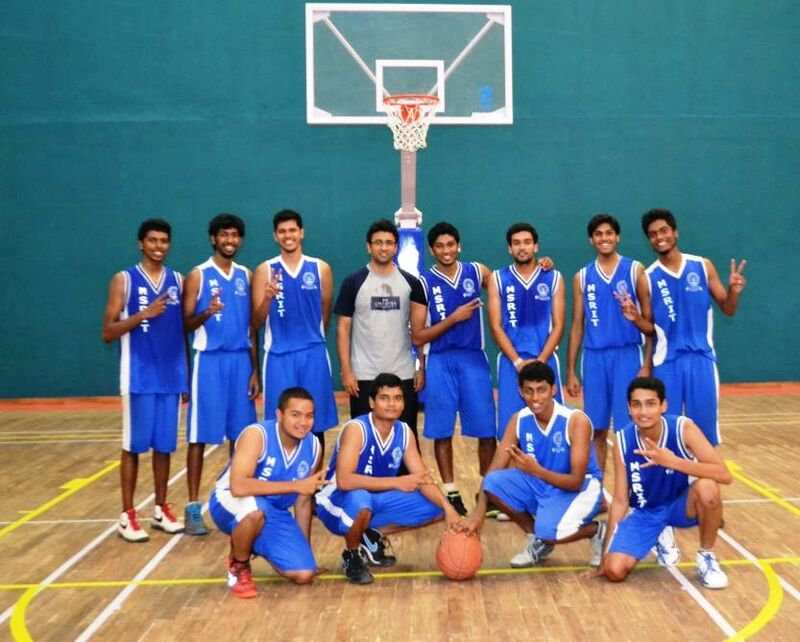 M. S. Ramaiah Institute of Technology (MSRIT) has won the RV College of Engineering Golden Jubilee Celebrations State Level Inter Collegiate Basketball Tournament held today at the RVCE College Indoor stadium, Bangalore.